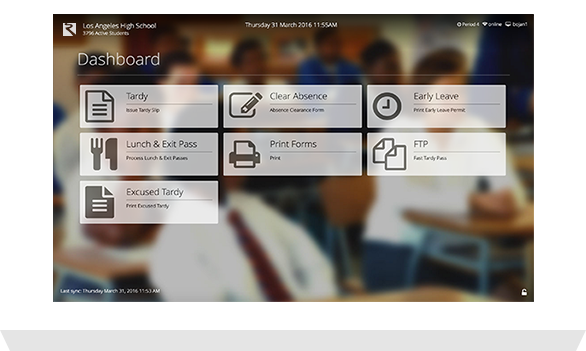 The General Events module allows schools to take electronically take attendance by reading the barcode in the student’s ID. Create and remotely deploy attendance kiosks for every type of event. No longer it will be necessary to gather and manually make entries to your Aeries system. The APX General Events module, allows school administrators to define whether events are for specific students groups (i.e. by grade, by classroom, by subject, etc) as well as to define open events in which all students attending the event register their attendance. Additionally, the module will also have e-commerce capabilities, which will allow students to receive entrance event tickets directly to their smartphone. Interested in knowing when this product launches? This module introduces a new paradigm for managing classroom attendance. Requiring students to scan their ID’s when entering or leaving class shifts the onus of responsibility from teacher to student. This module will significantly reduce the overall number of discrepancies and better prepare students for life for the real world. This APX module will be responsible to gather all the various violations for which detentions are mandated. 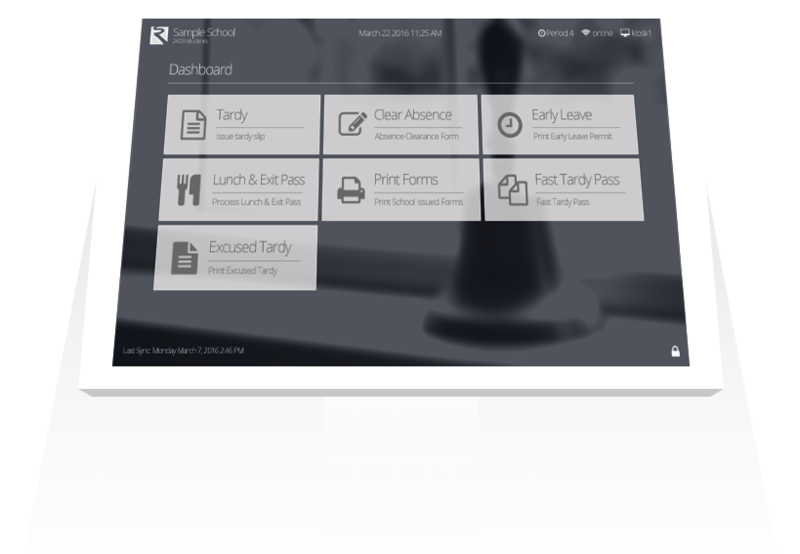 Whether tardies, absences or other inst ances, the module will provides the ability to present the user with various options in which to manage this process. What Exactly is SchoolRiver APX? SchoolRiver APX transfers or automates many of the coding, archiving processes related to K-12 school attendance, freeing staff and teachers to focus more of their energy on higher value tasks that truly improve educational outcomes. 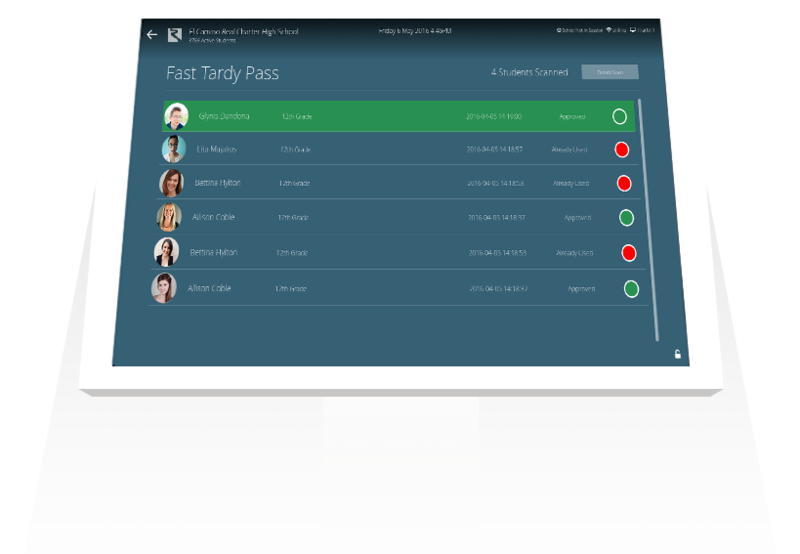 Significantly strengthening discrepancy and attendance management functions by automatically synchronizing with your Aeries® SIS (Student Information System), SchoolRiver's APX Attendance platform often reduces time spent on certain data processing tasks by 75-90%. 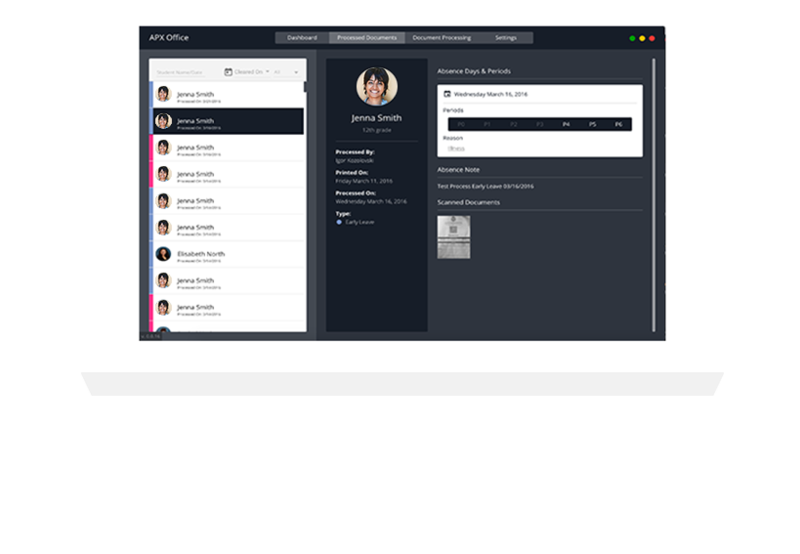 Removing many coding and archiving functions typical of attendance and discrepancy management, various APX modules help staff shift their focus from mundane tasks to higher value-added activities and improved interactions with students, parents and guardians. Keeping critical verification responsibilities firmly in the hands of teachers and staff, and placing non-critical coding tasks in the hands of students, parents and guardians, SchoolRiver's APX platform provides time- and date-stamped records to withstand the most rigorous ADA auditing processes. APX Office Signature-critical documentation (pre-coded by parents or students) is turned in to office staff who verify signatures and scan relevant consent forms. Data is automatically uploaded into Aeries, freeing staff from coding and archiving tasks to do higher-value-added work. APX Student Services Kiosk Kiosks in high traffic areas provide way for students to access and partially code signature-critical consent forms, absence forms, early leave forms, etc. After signature verification by office staff, all previously-entered data (embedded in QR code) is automatically uploaded into Aeries, freeing staff from coding and archiving tasks. APX Self Attendance Students scan ID's when entering and leaving class, going to lunch, leaving the building, going to assemblies, etc. for accurate, time-stamped verification regarding Present, Tardy or Absent status. Teachers still do a physical count to verify accuracy prior to uploading data into Aeries. APX Mobile Tardy Pass Teachers or staff bring Aeries into the hallway, gym, auditorium, stadium, or on the field trip, etc. 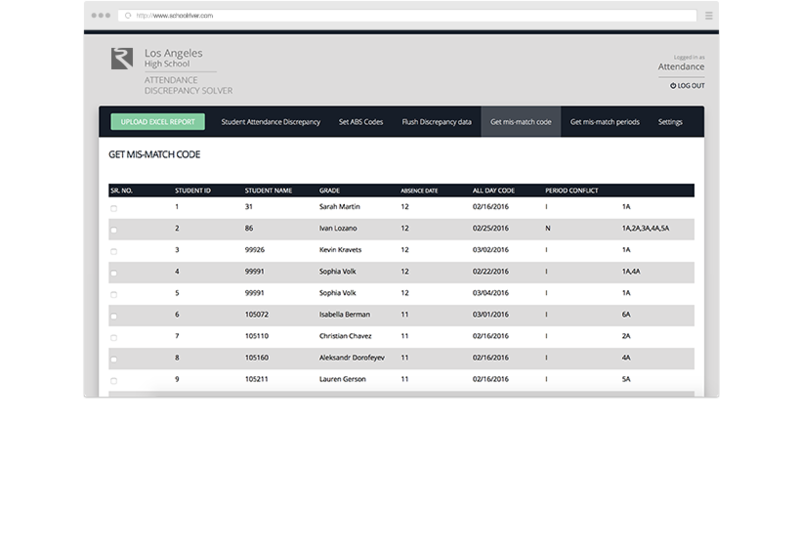 for quick access to student data and immediate response capabilities for tardy sweeps, medical emergencies, behavior management, drills, field trip management, etc. APX Discrepancy Solver Automated discrepancy (or anomaly) reporting eliminates the vast majority of coding and archiving functions for office staff, and significantly streamlines the period absence audit process. APX Fast Tardy Pass Student simply scans ID and receives a printed tardy pass to hand to the appropriate teacher, eliminating the need for coding of first-period tardies by the Attendance Office. All tardy-related data is directly uploaded into Aeries for use by staff responsible for detentions. "Roughly 15 more minutes of school a day (or about an additional week of class over an academic year) relates to an average increase in overall academic achievement of about 1.0 percent, and a 1.5 percent increase in average achievement for disadvantaged students." Wassmer, Robert and Jez, Su Jin. "The Impact of Learning Time on Academic Achievement"
"Total learning time was one of the strongest predictors of student outcomes among the long list of policies ... identified and analyzed." Hoxby, Caroline M., Sonali Murarka, and Jenny Kang "How New York City's Charter Schools Affect Achievement"
"SchoolRiver APX streamlines the Attendance Audit process, the Course Attendance (CAR) Audit, and the Student Data Audit required for CALPADS SPRG Audit (Reconciliation), which in return is required for Fall 1 and EOY CALPADS submissions." 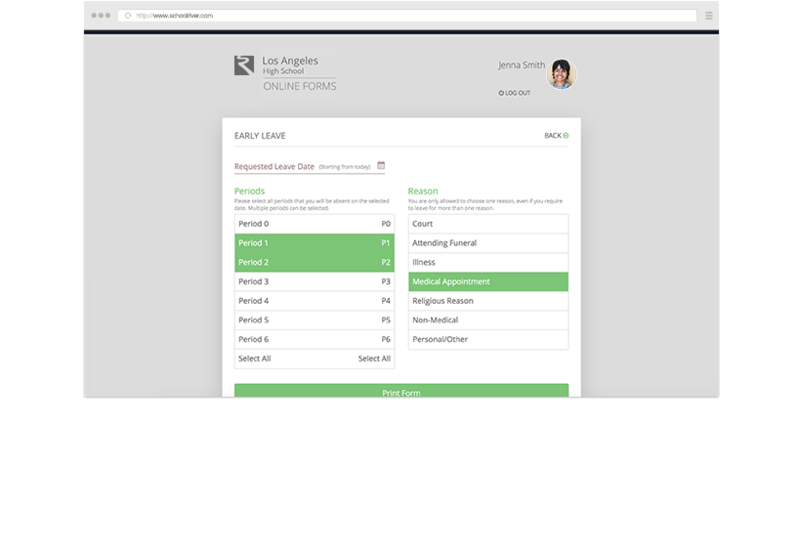 "SchoolRiver APX helps school and district administrators much more efficiently collect, synthesize and supply verifiable, auditable data on Special Education students, Migrant Program students, Free or Reduced Price Meal Program (NSLP) students and Gifted and Talented Education Program students for CALPADS reporting purposes"